Artist's impression of the protosolar cloud, a mass of gas and dust that gave rise to the Sun and planets 4.6 billion years ago. Observations of the noble gas xenon, performed by ESA's Rosetta mission at Comet 67P/Churyumov-Gerasimenko, revealed that the blend of isotopes found at the comet closely resembles U-xenon, the primordial mixture that scientists believe was brought to Earth during the early stages of Solar System formation. In contrast, the comet's blend of this gas is quite different from the mixture of xenon isotopes found in meteorites deriving from asteroids, and in the solar wind – the flow of charged particles streaming from the Sun. 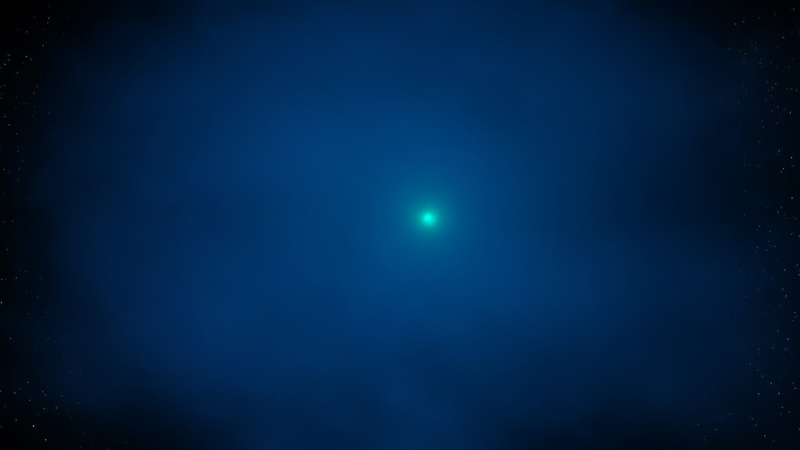 These measurements suggest that comets contributed about one fifth the amount of xenon in Earth's ancient atmosphere. They also indicate that the protosolar cloud from which the Sun, planets, and small bodies were born was a rather inhomogeneous place in terms of its chemical composition.